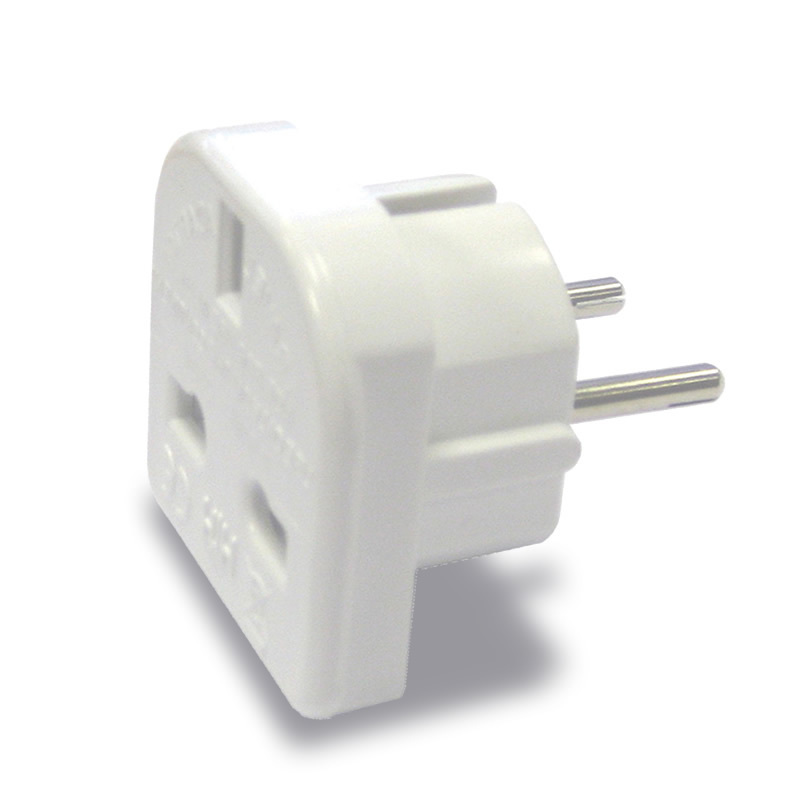 This is the 16A version of the 9906 Travel Adapter. PowerConnections are well known for their innovative range of plug connectors which cover both European and International types. One of the latest in the range is the Europlug converter which takes a standard UK 3-pin, 13 amp plug. Comprising a Europlug connector integrally moulded with a sturdy UK 3-pin socket backplate, this converter offers a safe and secure connection whenever a fast, trouble-free conversion is required.PowerConnections are well known for their innovative range of plug connectors which cover both European and International types. One of the latest in the range is the Europlug converter which takes a standard UK 3-pin, 13 amp plug. Comprising a Europlug connector integrally moulded with a sturdy UK 3-pin socket backplate, this converter offers a safe and secure connection whenever a fast, trouble-free conversion is required. Manufactured in accordance with BSi Standards. br / Product complies with current RoHS standards.